This year Turkey had its first presidential election. With an incredibly high turnout and some very slim margins, the Turkish voters chose to re-elect Recep Tayyip Erdoğan as part of a coalition with the MHP. Before the vote, I wrote an article with Merve Pehlivan about the election. During that writing process, getting good information on Turkey that had not been through the whitewashing machine of the AKP or written by airdropped-in-the-Middle East correspondents was hard. 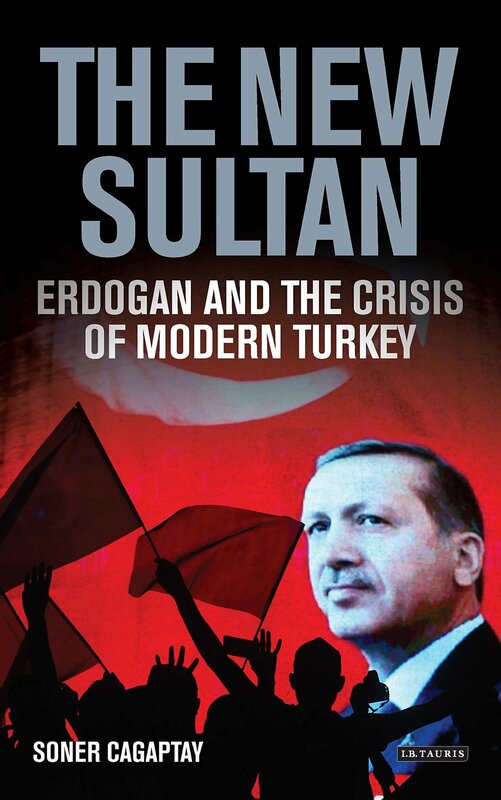 As a result, one of the books that I found most useful when thinking about the troubled place Turkish politics has found itself in was The New Sultan: Erdogan and the Crisis of Modern Turkey by Soner Cagaptay. It is a biography of the man who, for better or worse, has driven the country’s politics for the last few decades. It stood out to me as a book that attempted to highlight the positive achievements of the AKP and its leader while highlighting the serious flaws in both. With this in mind, I wanted to ask him some forward looking questions about Turkish politics and how the history of Erdoğan will continue to effect Turkey’s future. Luke: This may seems like a trivial question, but your writing on Turkey is in some ways more optimistic (for example in your book or in your writing for sigmaTurkey) than a lot of reporting. How do you stay positive? Soner: Erdogan’s vision is that Turkey needs to become a strong nation so it can survive in a rapacious global system. But the path to a strong Turkey is through a healthier democracy, not illiberal politics. Thanks to Erdogan, Turkey has become a middle-income society and a middle power in the last decade. However, as I wrote in “The Rise of Turkey,” after transforming Turkey economically, Erdogan must transform the country into a liberal democracy in order for the Turks to rise as a global power. Thus, it can become an advanced economy and a global power only if it remains an open and democratic society, keeping and attracting talent and capital, two ingredients without which this transformation cannot take place. Luke: One of the things I like about your book is that it tries very hard to be balanced about Erdoğan and the AKP. I felt that coverage of the election abroad, from a lot of main stream publications, was limited at best. What can the media do to improve the way that they talk about Turkish politics? Soner: Several recent analyses depict Turkish President Recep Tayyip Erdogan as a once moderate and liberal politician who suddenly swerved away toward authoritarianism. I could not disagree more. Erdogan, who has run Turkey since 2003 as prime minister and then as president, was always bent on subverting Turkey’s secularist democratic system. Those commentators who claim that Erdogan was a liberal earlier now find themselves struggling hard to explain his more recent authoritarian turn. They were deluding themselves, and they would have known better had they paid more attention to Erdogan’s biography and political trajectory. To understand Erdogan’s politics, the media must first understand his upbringing and early political career in a country then dominated by the secularist ideology of its founder, Mustafa Kemal Ataturk. As I explain in “The New Sultan,” Erdogan was born in 1954 to a poor and socially conservative family in Istanbul’s gritty working-class Kasimpasa neighborhood. He felt profoundly marginalized growing up poor and pious in the old secularist Turkey, whose leaders banned any key role for religion in public life. Because of this background, Erdogan has always wanted to get even with the system that repeatedly persecuted the Islamist movement that gave him a political home. However, despite his immense power, Erdogan still regards himself as an outsider. In many ways, he remains the boy from the wrong side of the tracks, clinging to a lifetime of grievance that expresses itself in a politics of coercion and revenge. Luke: When you look back at the place Turkish politics is now do you think, as some liberals like to suggest, that this was inevitable, that Erdoğan’s character was inevitably going to lead us down a path of authoritarianism? Soner: Having grown up in secular Turkey and faced social exclusion at a young age, Erdogan is motivated by deep-rooted animosity toward his predecessor’s ways. Now, having governed Turkey for 15 years, from 2003, Erdogan has at last amassed powers sufficient to undermine Ataturk’s legacy and, were they alive, make those original Kemalists question their absolute confidence in their system. He has dismantled Ataturk’s secularism in just over a decade and has done so with little mercy for his opponents. He has flooded the country’s political and education systems with rigidly conservative Islam and pivoted Turkey away from Europe and the West. However, Erdogan has a problem: whereas Ataturk came to power as a military general, Erdogan has a democratic mandate to govern. Furthermore, Turkey is split almost down the middle between pro and anti-Erdogan camps. Despite these facts, Erdogan desperately wants to change Turkey in his own image in the way that Ataturk did, and herein lies the crisis of modern Turkey: half of the country embraces Erdogan’s brand of politics, but the other half vehemently opposes it. So long as Turkey is genuinely democratic, Erdogan cannot complete his revolution. This has given birth to Erdogan’s dark, illiberal side: in order to push forward with his platform of revolutionary change in the face of a split society, he has subverted the country’s democracy. Exploiting his popularity, he has eroded democratic checks and balances, including the media and the courts. Instead of delivering more liberties for all, he has cracked down on his opponents and locked up dissidents, providing freedoms only for his conservative and Islamist base. Although he has won elections democratically, Erdogan has gradually become more autocratic, ensuring, now that he has won the election, that the political playing field is uneven in order to prevent power from escaping his hands. Luke: In your book you show how the AKP was able to rise out of the disorder of the 1990s. What can the opposition parties learn from the success of the AKP movement? Soner: Since he began his political journey, Erdogan has adopted as his mantra the theme of making Turkey great again. To his credit, the Turkish leader has made strides towards that goal, by delivering economic growth. When Erdogan first came to power in 2003, Turkey was a country of mostly poor people. Now it is a country of mostly middle-income citizens. By delivering this economic growth (and fanning conservative, and often politically Islamist views), Erdogan has built a base that shares his politics and will support him through thick and thin. Still, Erdogan’s success also owes much to his strategy of divide and rule, often persecuting one group while extending olive branches to the others. When Erdogan cracked down on the secularists and military during the last decade during the Ergenekon and Sledgehammer cases, the liberals and the Gulenists helped him. When he moved against the liberals during the Gezi Park protests in 2013, the Gulenists and the Kurdish nationalists stood aside. When he went after the Gulenists in 2014, Kurdish nationalists looked the other way, and the secularists basked in schadenfreude. When Erdogan finally went after the Kurds in 2015, their potential allies were either on the run themselves or too cowed to speak up. Erdogan’s crackdown is not irrational. Rather, it is a deliberate calculation. He is a prototype of populist and right-wing leaders that seem to be on the rise in many regions of the world. However, he has demonized so many opposition groups that he faces certain prosecution if he loses elections. To avoid being ousted democratically, Erdogan has decided to end democracy in Turkey. Luke: While reading your book I got a much clearer view about who Erdoğan is and his motivations within politics. What I am still unsure about is what his motivations are now given that a lot of his policy aspirations have been achieved. Can you comment on that? Soner: Erdogan will keep being Erdogan, maybe even more so now that the elections are over. He comes out of this victory knowing that his combative approach has been vindicated at home and abroad. He is also perpetuating a sense of victimhood in his rhetoric—at home, he claims he is fighting entrenched Turkish elites; abroad, he warns that those who oppose him can return any minute to undo the gains he has made. To be sure, Erdogan wants Turkey to remain a democracy, but only so far as it is compatible with him staying in power. He has maintained the structure of democracy, but the question is how long this shaky arrangement can last. The answer may depend on how long the opposition feels it can contest his rule fairly before resorting to potentially more confrontational means. It was encouraging that opposition parties showed solidarity with each other during the elections, but discouraging that they still lost after coming together. Going forward, the AKP-MHP alliance gives the nationalist constituency a strong voice in government. Believing their agenda has been proven right at the polls, Erdogan and his new allies will become more strident toward Kurdish nationalism, the Gulenist movement, and the West. In particular, Erdogan wants to solve the Kurdish issue by coming at it from a position of strength. And while he desires better relations with the West, he believes they need to be reestablished on his terms. Put another way, the West has an opportunity for a fresh start with Turkey, but only by accepting that Erdogan is here to stay. Luke: One of the ideas in your book that I found very useful when thinking about the AKP and Erdoğan was their ability to slip in and out of alliances with other factions in Turkish politics. Do you expect to see something similar happening with the MHP? Soner: Taking into account historic trends, the AKP- Nationalist Action Party (MHP) alliance does not bode well for Turkey’s stability, unfortunately. Without exception, all Turkish governments supported by the MHP have collapsed in grave crises, including civil war-like fighting on the streets in 1977 and 1979, and Turkey’s worst economic crisis in 2001-2002. In 1977 and 1979, the MHP took part in the fighting through its militia, known as “Grey Wolves,” and in 2002, Bahceli betrayed his coalition government partners at the time, calling for early elections, which brought Erdogan’s AKP to power. However, if not for Devlet Bahceli’s MHP, Erdogan and his AKP would not have won Turkey’s June 24 parliamentary and presidential elections. Erdogan crossed the 50 percent threshold and won the presidential vote only because Bahceli did not field a candidate in the race, instead asking his base to vote for Erdogan. In addition, in the parliamentary race, the AKP-MHP coalition secured a legislative majority. Thus, while the AKP won the election, ultranationalist MHP may be the biggest winner. Also during the elections, many AKP voters seemed to migrate to the MHP, which increased the latter’s power in parliament. More important, Erdogan is now, at least in the short-term, indebted to the MHP despite gaining more power. Overall, Erdogan remains a pragmatic leader and has partnered with numerous groups in the past. However, the MHP should proceed with caution— when these partners step over the line (e.g., the Gulenists) or otherwise threaten to erode his power in any way, Erdogan is quick to retaliate, and relations sour rapidly. Luke: In my conversations with religious conservatives in Turkey I did see them raising issues in which they were not content with the government, for example the direction of the economy, mass firings, and corruption. Moreover, there must be those within the AKP who are concerned with the result. In your book you point out that Erdoğan does have the ability to listen to his base and shift his position in what policies do you think that he will make these adjustments? Soner: One result of the AKP-MHP coalition is that Turkey’s internal debate on the Kurdish issue will become more difficult. Unlike other Turkish political parties, the MHP often denies the existence of a Kurdish identity in Turkey. The MHP will demand a tougher line from Erdogan regarding Kurdish nationalism, such as ruling out a political solution and taking tougher military action against the Kurdistan Workers’ Party (PKK), a terrorist group that Turkey has been fighting for nearly four decades. The MHP also will limit Erdogan’s space to maneuver as he tries to reach a modus vivendi with Washington, which has relied on the PKK-ally, People’s Protection Units (YPG), to fight the Islamic State in Syria. The MHP likely will force the Turkish leader to reconsider his pragmatic approach, limiting Erdogan’s options in maintaining his arrangement with Washington. Of course, if Bahceli were to push Erdogan too hard regarding the YPG, or any other difficult issue, the Turkish president would have no difficulty in demonizing and defeating the MHP. However, remembering that no Turkish government supported by the MHP has ever ended well, if the MHP went down, it would certainly try to take Turkey — and perhaps its president — down with it. Dealing with the MHP indeed will be Erdogan’s most tricky challenge. Luke: One of the ideas that has stuck with me from the book is the existence of an unrepresented centre left in Turkey. I think tactical voting from people in that position goes some way towards explaining the exact breakdown of the election results. What are the chances of this sentiment coalescing into some sort of identifiable movement? Soner: Of the three parties in the country’s legislature that oppose President Recep Tayyip Erdogan’s AKP, the leader of the first — the Peoples Democracy Party (HDP) — has been jailed by Erdogan. The leader of the second — the Nationalist Action Party (MHP) — has joined forces with Erdogan. And the leader of the third, and main opposition faction — the Republican People’s Party (CHP) — has been labeled a “national security issue” by Erdogan’s deputy prime minister. The problem for Erdogan is that despite his best efforts to build a majority in his favor, and even with extensive allegations of voter fraud, he only won by 51 percent in a recent referendum to increase his executive powers. Erdogan’s policies have not created a solid majority, but a deeply polarized society. Erdogan’s future is delicate. Although he won the referendum by the slimmest of margins, he lost the vote among 18 to 32 year-olds, who came of political age after his rise, by a 5 point margin. The majority of people raised under him reject Erdogan, and as more of these youth come of voting age, he faces the risk of being defeated in the next elections in 2019. This is why he has been taking steps to stymie democracy in Turkey. Turkey’s democracy will be safe if factions opposing Erdogan, including the centre left, come together and offer him a grand bargain, including a promise that he and his administration will not be prosecuted should they lose elections. This offer of blanket amnesty should extend also to the members of Erdogan’s family, who have been implicated in corruption allegations. This will be a tall order, as leftists in particular despise him so deeply that consensus will be difficult to secure. In addition, Erdogan himself may not agree to take the olive branch; regardless of how ironclad its terms are, refusing to trust the opposition’s commitment to amnesty. Still, Turkey’s opposition and Erdogan together have a chance to save the country and its democracy. This strategy is not guaranteed to work, but it is the only graceful exit that may be left. Luke: What are some books you recommend for further reading? Soner: Muslim Nationalism and the New Turks by Jenny White, Atatürk: An Intellectual Biography by M. Sükrü Hanioglu and Islam, Secularism and Nationalism in Modern Turkey: Who is a Turk? by myself.